You can get credit for life experience towards your degree plan. 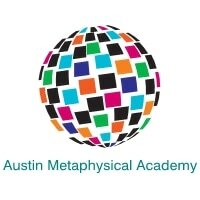 Have learned about Metaphysics all of your life? How many years have you been doing it? Do you have supporting documentation? How creative can you be with your explanation? To submit your life experience, write 2, 000 word documentation about Metaphysics or your life experience. Submitted supporting documentation and services will be evaluated and you will receive a letter on what is accepted. The information will be returned within 1 month of date received. Once LES is approved, you will receive a letter telling you how many points you will receive and then payment will need to be submitted to AMA. Example: If you want 1 point, you will pay $50.00. If you want 2 points, you will pay $100.00. If you want 3 points, you will pay $150.00. Etc.